Behind every comfortable stay at the hotel, there’s a lot of efforts put in by peoples like front-desk officer, housekeeper, concierge, chef, guest relations officer, clerk, reservationist, room coordinator, back office assistant, technicians etc. These people often take shifts working 24/7 to deliver the best for us BUT their interests are often neglected. 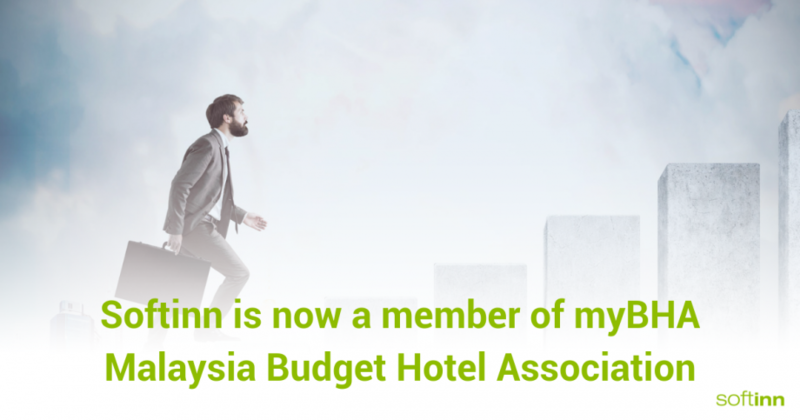 myBHA is an organisation that represent the common interests of all budget hotels in Malaysia. The Malaysia Budget Hotel Association (MyBHA) is the umbrella body for all budget hotels (3 stars and below) in Malaysia. Its membership is made up of hotel entities which are represented by proprietors of hotels or appointed representatives. Aims of associations is to upgrade budget hotel image, increase business and improve management to face immediate and future challenges of the industry. A membership of myBHA is more then just a title. For Softinn Solution, this mean that we are ready to contribute our capacity for the industry and to cope with our commitment being part of the industry. “Previous to the founding year , we have no platform to voice our problems to the Ministry or to liaise with other trade associations . We were then often neglected by those operating five/four star hotels, and our interest was not looked into. Have put the up the sticker sent by myBHA in the member kit. Cultivate goodwill and cooperation between budget hotels in Malaysia. Promote a good relation between the association, government and the public. To make representation to the relevant Government Agencies, Authorities and parties on behalf of the members. Cooperate with other organizations, political parties or individuals if the cooperation is considered to further contribute to the achievement of the association’s goals. To promote good business ethics and standards among members. To foster a culture of interactive sharing of information among members for the long term benefits of the members. To promote excellent services,skills and train among employees of the members for the long term benefits of the members. Matters related to the management of the association, such as the purchase or disposal of assets, and other actions that require the attention of the association, are dealt with directly or indirectly prior to approval by the Registrar of Societies and the relevant authorities.